Ryan O’Neill reports on the haphazard and theatrical Republican National Convention in Cleveland. 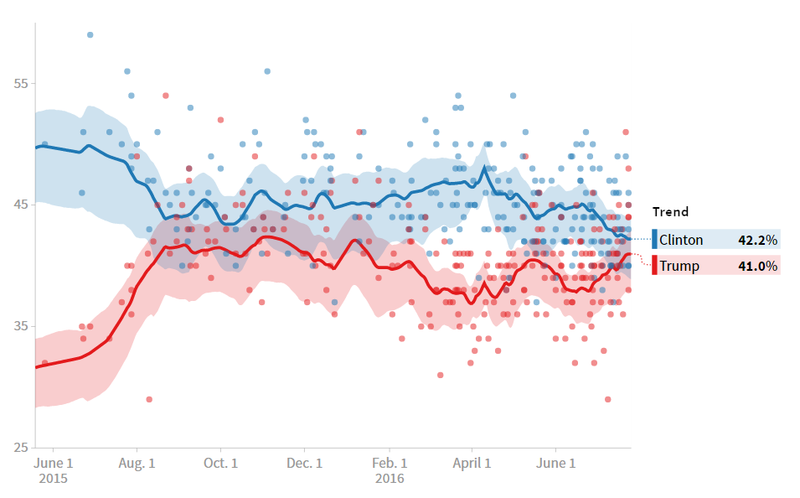 The astonishing rise of “Donald Trump – The Politician” broke new ground last week. At the 2016 Republican National Convention in Cleveland, Ohio the oft-quoted “presumptive” GOP nominee moniker officially became that of confirmed nominee. Hillary-hating, tales of humble cornfield beginnings and a motley selection of speakers marked a suitably eventful RNC in a fascinating US Presidential election. In an interview given on American TV’s 60 Minutes in the days prior to the convention, Trump claimed that the Republican Party is “very united” around his candidacy. Despite this assertion, the convention this week paints a much more honest picture – that Trump has yet to win the unequivocal support of some sections of his party. This was immediately apparent from the calibre of speakers at the convention. True, there were appearances from Newt Gingrich, ardent Republican and former House of Representatives Speaker, as well as Paul Ryan, the current incumbent of that position, but the list also included a former actor of Happy Days and no less than five members of Trump’s own family. It is no secret that Trump’s success has polarised his own party and the failure of some important past and present members of the GOP to turn up at the party’s showpiece event is further evidence of the reservations still held by some. Former Republican candidates John McCain and Mitt Romney, in addition to former Presidents George H. W. Bush and his son, were all notable absentees at the convention. John Kasich, who dropped out of the presidential race earlier this summer and whose home state played host to the event, also opted to stay at home. Almost since the day he announced his candidacy in June last year, Trump has been relentless in attempting to silence his many dissenters. 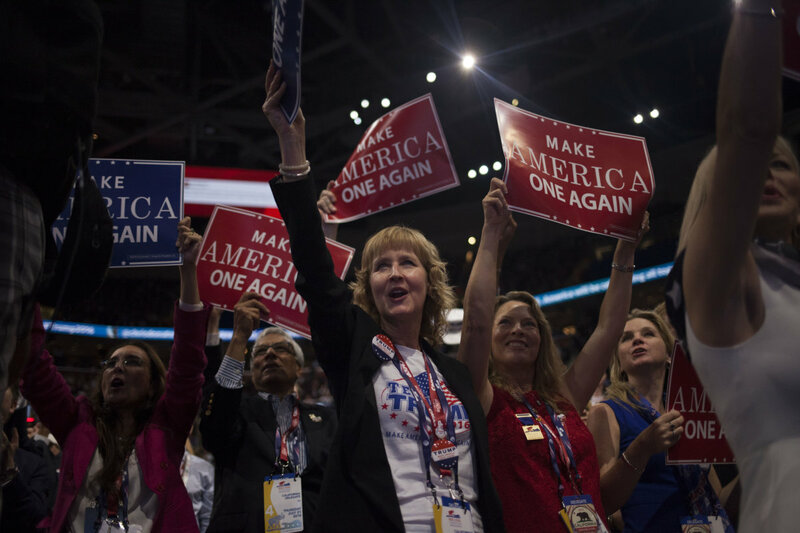 An aggressive “Dump Trump” faction of the party’s delegates was quickly hushed on Day One, and were hugely outnumbered on the official roll call. A speech was also made by Governor Mike Pence, whom Trump has chosen as his Vice Presidential running mate. Choosing a candidate with Pence’s record of acid conservatism (signing draconian abortion bills and refusing to allow Syria war immigrants to settle in his home state of Indiana, to name two examples) is possibly an attempt to reconcile the Republican’s more right-leaning supporters and voters. Trump’s four children and wife Melania filled their speeches to the brim with adjectives like “kind”, “true” and “real” when describing their father and husband. These sort of uninspired ploys are weak, and it will surely take much more to convince detractors on the Republican side that Trump is the right man for the job. Reverting back to the topic of self-confinement for a moment, “don’t stay at home in November” was the message of Texas Senator Ted Cruz’s to the 2,500-strong crowd during his speech on Day 3. The former candidate’s refusal to endorse his adversary in spite of his victory provoked outrage and shock inside the arena. 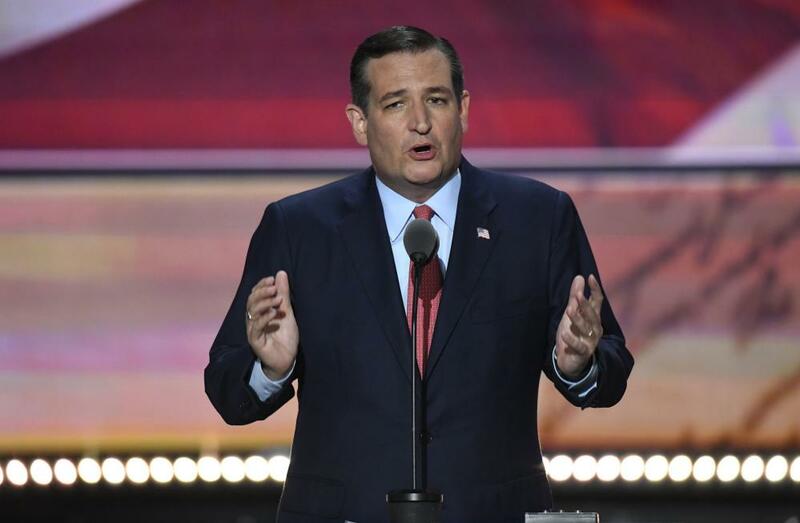 Having implored the electorate to vote “for candidates up and down the ticket” during his somewhat mawkish speech, Cruz exited the stage to a chorus of boos from angry delegates, and his speech was condemned by certain members of the GOP. Far from being a conciliatory figure in the GOP, Cruz has spent his political career largely making enemies of many Republican big-hitters, including some of his own close friends. His hard line approach to issues like abortion and healthcare comes hand in hand with his enduring commitment to standing his own ground, even when his actions are to the dismay of his own party, as well as sometimes to the detriment of his own position. It is something he has done on a number of occasions, and has to be admired in the political era we live in today, where party members often have little choice other than to fight their conscience and toe the party line. (Governor Rick Perry failed to even mention Trump in his speech), but he did so most explicitly and theatrically, and it will be no surprise if Cruz winds up feeling Trump’s political wrath if the New Yorker wins the election in November. A Shambolic Showpiece, or Divine Comedy? One big media talking point was, of course, the speech given by Trump’s wife Melania, parts of which were later confirmed by the campaign to have been taken from the speech given by First Lady Michelle Obama at the Democratic Convention in 2008. As one of the more prominent stories from the conference, this mishap really doesn’t need further analysis. It does however conjure up memories of another incident this year, namely the reported firing of campaign manager Corey Lewandowski after several alleged physical incidents involving Lewandowski, protesters and a reporter. Whether the incident was plagiarism or a simple mistake, the latest high-profile hiccup on the big stage is arguably another example of Trump falling foul of the low-personnel campaign he often prides himself on having. Perhaps if more people worked on his campaign, someone might have spotted such an error. Or perhaps not. 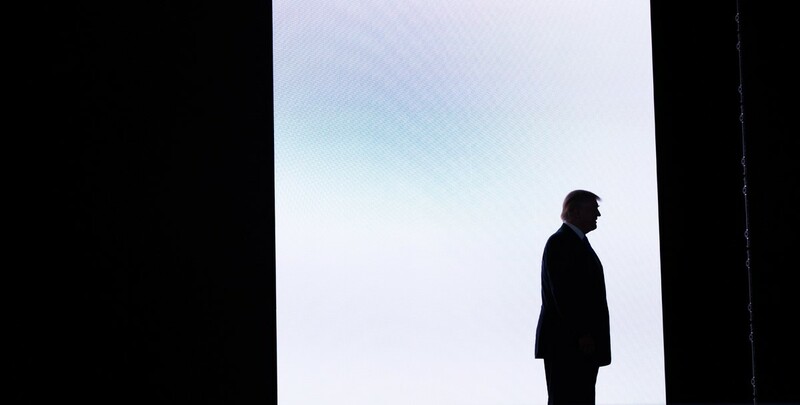 Despite this, Trump’s attempts at adding a touch of “showbiz” to the convention paid off at times, with him at one point entering the stage like a lumbering golden-haired rock star to Queen’s “We Are the Champions”. His son Donald Trump Jr gave an impressive speech, where he spoke of his father’s determination and “track record for accomplishing the impossible.” His confirmation as nominee by virtue of having the necessary delegates passed without incident, and the sight of his family throwing numerous clichéd superlatives his way will no doubt please Trump’s colossal ego. 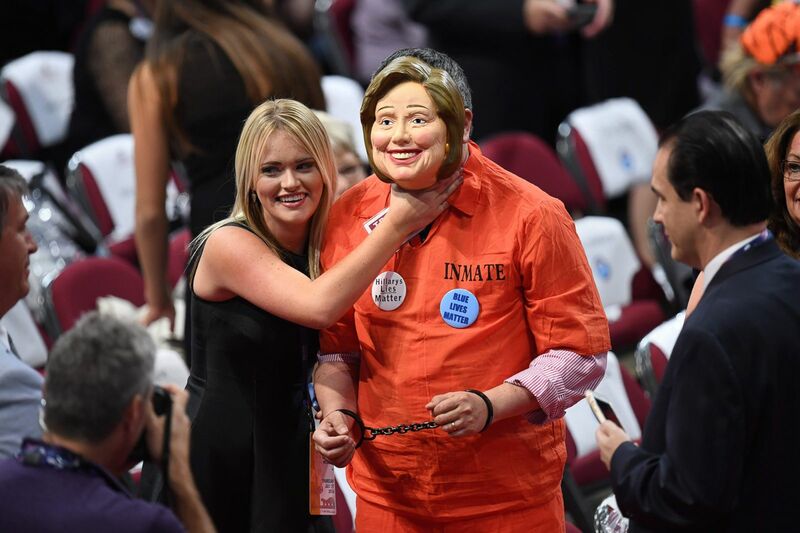 The convention should also be noted for its moments of sheer comedy, such as Dr Ben Carson comparing Democratic nominee Hillary Clinton to Lucifer, one spokesperson responding to the Melania controversy by quoting the kids TV show My Little Pony and “Hillary For Prison” became the chant of the moment. Well, I suppose we’ve all had enough of “Will Grigg’s On Fire?” this summer, haven’t we? If doing things like bizarrely phoning in to Fox News to give an interview in the middle of his own convention are seen by some as strange moves from Trump, they really shouldn’t be. The tycoon-turned-politician’s cognitive dissonance and inherent tendency to work off his own intuition have been central to his campaign since he first announced his candidacy in June 2015. The latest CNN/ORC polls, compiled below by Huffington Post, suggest Trump has gained popularity off the back of the convention, and now barely trails Democratic presumptive nominee Hillary Clinton by a percentage point. In spite of a topsy-turvy convention, Trump has ultimately secured the nomination with relative ease, and the onus will now be on him to prove he can keep winning people over whilst simultaneously profiting from the controversies that continue to threaten his rival Clinton’s credibility. Previous Previous post: The Cassells Report; A clear solution to the problem of Third Level Funding?